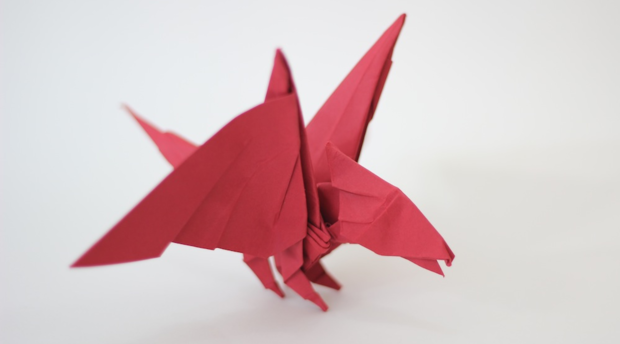 Baby Dragon origami, by Tadashi Mori. Made with color plus paper. But it's recommended to use a thinner paper. It works well with 20x20 cm kami paper.